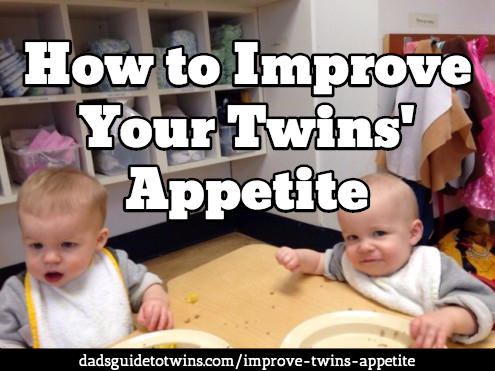 How can we improve our twins' appetite? How can we improve our twins’ appetite? When I looked at Danny’s question, this question could really be applied to any age of your twins. You’ll notice that the differences that you may have noticed of your babies in the womb carry over to post birth as well. If you ask mom if she could tell the difference between the babies when she was still carrying them during the pregnancy, she’ll probably notice that one of them was more active than the other, one was more feisty than the other, and those same personalities and attributes carry over after the twins are born. 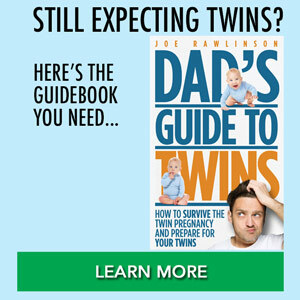 If your twins are having a trouble with their appetite, not eating as much as you feel they should, one thing to ask yourself is, “Are they still growing? Are they still hitting their milestones as far as weight?” And if they are, then you’re fine. They are getting enough to eat. 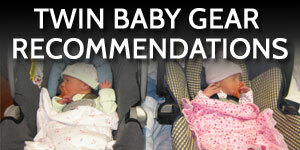 You may also consider trying different types of formula if you’re formula feeding your babies. Maybe they don’t like a certain type of formula, and you need to try another formula. We personally went through several types of formula to try to find one that worked best for our babies. Once your kids are graduated from breast milk or formula, and they’re trying solid foods, you may need to try different types of solid foods as well to see what is to their liking. Remember that your twins are going to eat eventually. When someone is hungry, they will eventually reach the point where they eat what is served to them. And so they’re not going to not eat forever. It may be hard to realize that in the moment, but they are likely getting the food that they need throughout the day if they are continuing to grow. Now if your twins are still little, you may need to consider stretching out the time between feedings of your twins. Perhaps you’re trying to feed them too soon, and they’re still full from their last feeding. Remember that your twins tastes will change over time. What they may have liked last week or last month, may not be the same as what they like today. As you introduce new foods, remember to introduce one new food at a time. You don’t want to hit your child with a bunch of new foods and then not know what is happening. Maybe they have an allergic reaction, or maybe they don’t like the food. You’re not sure how to isolate that because you gave them a bunch of new foods at the same time. So you definitely want to introduce one new food at a time. See how they take it, see how they react. Keep in mind that it’s going to take several exposures to new foods before your child starts to gain a liking for it. So maybe it’s something that they’re going to love their whole life, but they may not love it the first, second, fifth, or seventh time. It’s going to take a while for them to gain an appetite for and a taste for new foods. So you have to be patient there and continue to offer it to them. 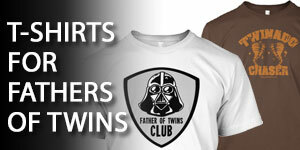 An advantage that you have of having twins is that they are different. Even identical twins are going to have different preferences and tastes. Remember how they were doing in the womb and their personality differences? 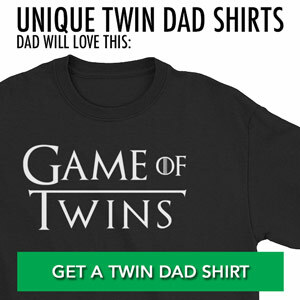 Even if they’re identical twins, they’re still very different people, and, as such, they’re going to have different food tastes and preferences. 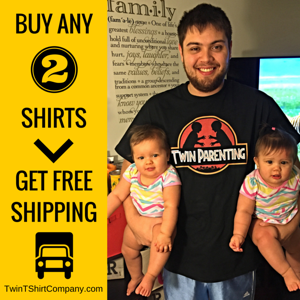 So you may notice that one of your twins will eat something and the other twin will not. So keep in mind, and think about why that might be. One thing to keep in mind is food allergies are a real concern. One of your twins may have a food allergy and the other may not. In our home, our twins do not have food allergies, but our other two boys do, and, as such, they have to eat different types of things. It took us a while to figure what those allergies were and why they were having certain reactions to the foods that they were having. And so if you’re having concerns or questions around food allergies or maybe physical reactions that your twins are having to food, make sure to talk to your pediatrician. And as with all your concerns, as far as the health and appetite of your babies, if some of things we’ve talked about today are not working, make sure and reach out and talk with your pediatrician because they’ll know the health history of your child and can best tailor a course of action to them. 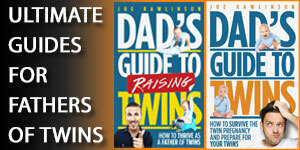 I do talk more about how to get into a good routine of feeding and overcoming the challenges of feeding your twins in the fourth chapter of my book, the Dad’s Guide to Raising Twins: How to Thrive as a Father of Twins. Pick up a copy if you haven’t already.